A lot of players will find that the 24.75 in. scale, 1-11/16 in. nut width, and Tune-O-Matic bridge on the Dean VX Electric Guitar give it a familiar feel. 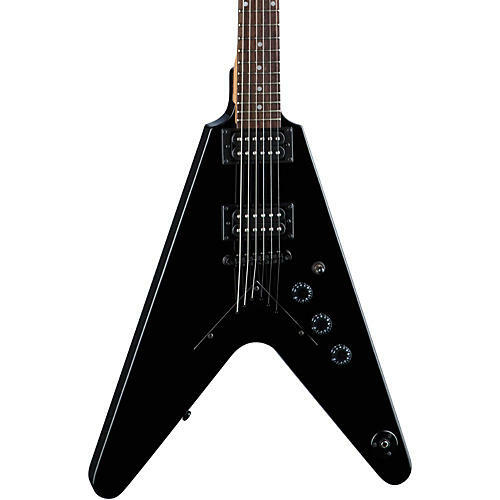 Its basswood V-design body, Dean V headstock, and dual humbuckers give the Dean VX seriously heavy metal credentials. Die cast tuners. Black hardware.